Are you holding a big event or conference? Fearful no one will turn up for the event, or worse still your attendees will not come back complaining of the bad experience? I have attended a lot of conferences from London to Bangkok, from Barcelona to New Delhi. Some were truly inspiring with impeccable organization. Others I was left confounded why I ever bothered to make the journey. I’ve also been involved in the organization of global conferences. And I can tell you, it’s a lot of work, especially when you are trying to attract people from other countries. Carefully planned pre-event marketing plays an important role in the conference’s success. 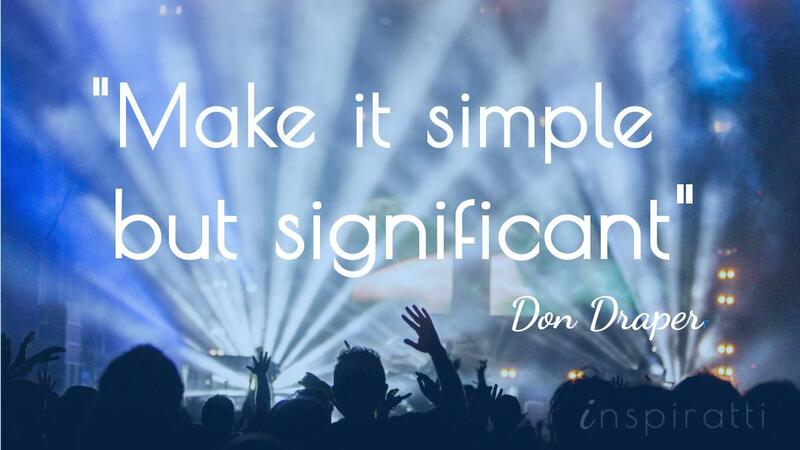 Have a clear value proposition for your event. What differentiates your event from competing industry events, both global and local? What are the advantages of attending your event? Ensure the benefits are concrete and succinctly conveyed in your messaging. Ensure you cover the key benefits of attending your event using this template. Careful theme and content selection. Ensure the topic and content of your event are relevant to an international audience. For example, a conference on global marketing strategies would attract professionals in businesses competing in different international markets, regardless of where they are based. Whilst featuring local case studies is fine, you need to ensure all content has applicability across borders. Recruit industry leaders with global recognition. 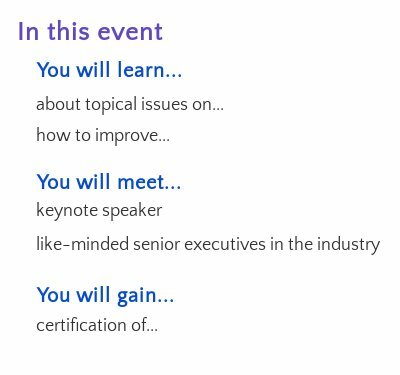 Invite speakers that are well-recognized beyond your domestic market and maintain an international outlook. This will attract an international audience and ensure they are well-placed to deliver presentations of interest to attendees from different countries. Highlight the ample opportunities to network and exchange knowledge with delegates from other countries. Consider regular coffee breaks between sessions and during registration. You might include special events following the conference sessions to promote more informal networking opportunities, such as an evening BBQ, drinks, or a boat tour of the city. Demonstrate the international profile of your event by including information about the composition of your audience from your previous events in your promotional material. 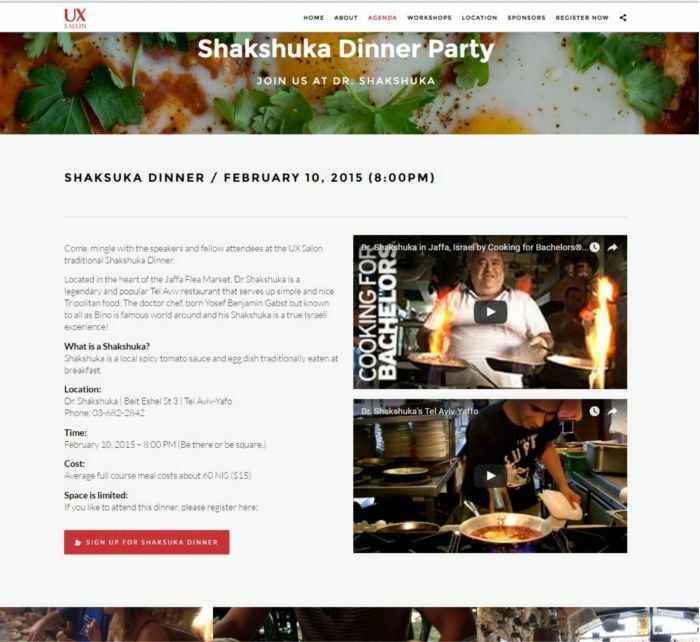 The UX Salon Shakshuka Dinner provides opportunities for speakers and fellow attendees to mingle as well as try the authentic Israeli Shakshuka dish. Present the host city as an exciting destination. Provide information about the city and its tourist attractions. Highlight cultural, sporting or entertainment activities for visitors to explore in their free time. The FutureM event page provides a list of top 10 things to do in Boston. Consider the typical demographic profile of your target market and think about the kind of activities that would be most interesting to them e.g. museums and galleries. If the city offers attractions relevant to the event topic, be sure to point out those opportunities. For example, if you are holding an art event, highlight the many galleries and that the city is the haunt of budding artists. Collaborate with well-established global and national organizations and associations relevant to your event. Reach out to multinational companies, trade associations and professional institutions with members or employees in different countries, and propose how you could work together for mutual benefit: Would they like to sponsor or exhibit at your event? Or offer a special delegate rate to their members? Reach out to attendees of your previous events. Make it easy for them to share the event with their networks. For example, include ‘forward to a friend’ and social share buttons in your pre-event emails. Offering a special discount to attendees who successfully recruit other registrants gives them an extra incentive to promote your event. Also, invite delegates to provide a testimonial for your event, which you can feature on the landing page for the next event. 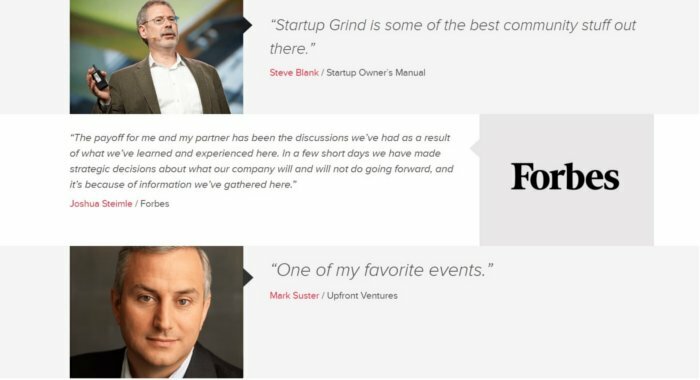 Testimonials from past attendees are a great way to boost authority and buy-in for your event. Use a variety of media to engage your audience, including videos, photos, and podcasts. Create pre-event podcasts with your keynote speakers to engage your audience in the topic, or an event trailer drawing upon material from your previous events. Indeed, if you have held previous events, make the most of the materials you have already created to add authority to your upcoming event. Use photos of engaged audiences at your keynote speeches or the active networking taking place at last year’s event. MozCon features videos on their event homepage to demonstrate why the event cannot be missed. Identify the social media networks your target market hangs out. Then leverage the media assets you have created to inspire these audiences about your event. You could consider creating a unique hashtag for your event or a dedicated event sub-group on your Facebook page. The dedicated Twitter account for the Inbound Marketing conference provides updates on what to expect at the event. Engage your speakers on social media and encourage them to share with their own networks. Make it easy for them by preparing suggested messages for them to use on Twitter and Facebook. Record your event. This will enable you to offer a digital version of the event or sections of it at a discounted price. This will draw interest from a wider audience of people unable to attend the actual event. Social Media Marketing World offers a cheaper virtual conference that provides all the valuable learning takeaways without the in-person experience and networking. Motivate immediate registration. Offer early bird discounts for early registration and special discounts for large groups. Offer extra incentives to attend. Has one of your keynote speakers just launched a new book? Consider offering their new book to the first 20 people to register for the event or offer it as a prize to a select number of attendees as part of a competition. You could even consider customizing the book with your company logo so that your event stays memorable long after the date. Offer discounts on essentials such as hotels and flights. Partner with relevant companies to strike up a mutually beneficial deal. An event countdown and early bird discounts creates urgency and excitement. Choose a convenient location. Is your venue easily reached from international airports? Is it well-connected by public transport links? If not, reconsider. Select major cities that are easily accessible to ensure a smooth and economical journey for all visitors. Ensure a comfortable stay. Provide clear instructions on how to get to the venue on bus, train, metro, and car. Offering a map that highlights nearby attractions will further aid navigation to the venue. Negotiate special delegate rates for the host venue if it is a hotel, and give recommendations of other nearby hotels that guarantee a welcome stay. Provide clear instructions on the event landing page on how to get to the venue by public transport, and include a map. Be culturally sensitive. Make it clear that you can cater to special requirements and can offer a range of food options such as vegetarian and kosher. Depending on your target audience, you might even cover details on cultural customs and business etiquette. The point is to avoid unexpected surprises that have a detrimental impact on attendees’ experience; after all, they are key advocates for your next event. In addition, take international holidays into account: look at a calendar of international holidays and schedule your event outside key holidays for your target countries. Investing time and money to attend an international event is a big commitment. So, ensure you deliver a spectacular event that is memorable for the right reasons. Plan your international event marketing activities well in advance to build interest, authority and excitement in your event. Make it easy for delegates to find the information they need on your event landing page, and provide insightful tasters and helpful advice in your pre-event emails. Beyond learning valuable lessons from industry experts, delegates want to gain useful connections. But think beyond the conference and exhibition space. Extra touches, such as a unique tour of the city, can also make your event a personally enriching experience that is memorable beyond the conference floor. Delivering an amazing event experience is worthwhile: it secures registrations and advocates for your next event and builds trust in your company and the related products or services you offer. Once the event is over, continue the conversation through a variety of post-event marketing tactics. Have you delivered a spectacular event attracting an international audience? What international event marketing tactics did you use? Share your thoughts in the comments.